Good morning everyone! 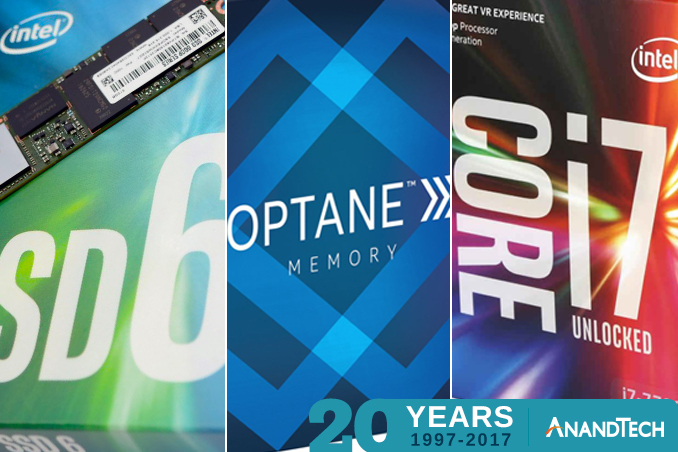 We’re now on day 3 of our 20 day celebration of AnandTech’s 20th anniversary. After yesterday’s HTC U Ultra giveaway, today we’re back to PC parts, courtesy of Intel. For today’s giveaway the 800lb gorilla has contributed a true silicon sampler, sending us CPUs, SSDs, and even some Optane Memory cache drives to give away to you. First up, Intel’s Core i7-7700K needs no introduction. Intel’s flagship consumer CPU is still the chip to beat for all but the most heavily threaded workloads, thanks to the high IPC of Intel’s architecture combined with the equally high clockspeeds afforded by Kaby Lake. The i7-7700K will turbo boost to 4.5GHz, and as this is an unlocked processor, you can should must always overclock it even further. 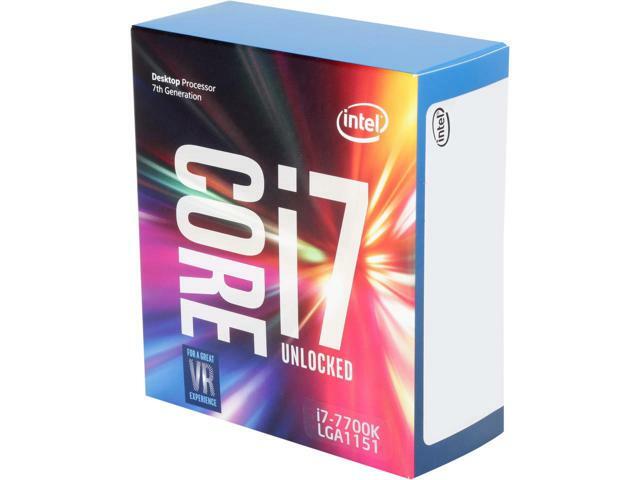 As a reminder, retail box i7-7700Ks do not include a cooler, so along with a compatible motherboard you'll need a 3rd party cooler as well to complete the ensemble. Second on our list of prizes is a pair of Intel 512GB 600p SSDs. The 600p is from Intel’s mainstream SSD family, combining an Intel-customized Silicon Motion SM2260 controller with Intel/Micron’s own 3D TLC NAND. These are single-sided M.2 2280 drives, so they’ll fit in virtually all M.2-equipped motherboards and laptops. And as one of what’s still a relatively small number of NVMe-capable PCIe 3.0 x4 drives on the market, the 512GB 600p can easily sustain reads over several-hundred megabytes-per-second. As Billy Tallis noted in our review of the drive, the 600p “offer peak performance that is as high as promised” but do bear in mind that these are drives meant for consumer systems. So best not to try running your database server off of one. Finally, we have a pair of Intel’s recently-released Optane Memory cache drives. Built using Intel’s newly-developed next-generation 3D XPoint memory technology, Intel has opted to start the consumer rollout of the technology by building cache drives, which maps well to the higher endurance and higher serial performance of 3D XPoint. It’s important to note that to take full advantage of these drives, you will need a Kaby Lake Core-series processor and a supported chipset, as that’s the only platform to support Intel’s full Optane cache mode. Otherwise the drives can be used in some other systems, but they’d only show up as a small 32GB NVMe drive. According to our resident SSD-sommelier, Billy Tallis, these drives tend to be best paired with something like a Core i3 processor in a lower-end system, to transparently speed up performance on a HDD boot volume.